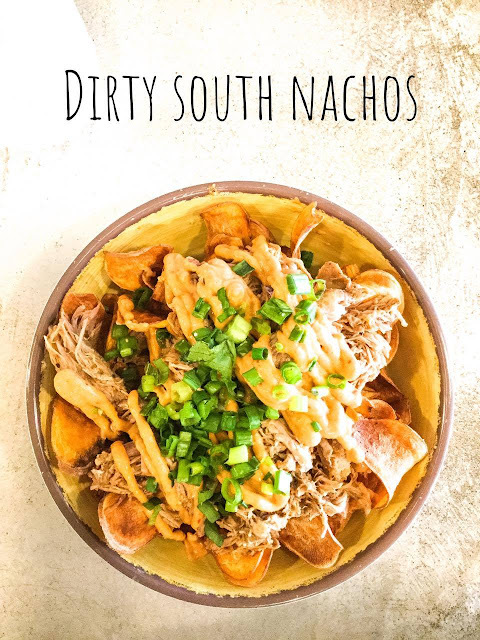 Crafted, The Art of the Taco in Winston-Salem has joined in on the Fiesta de Camotes fun and created Dirty South Nachos, an appetizer to highlight the beauty and joy of sweet potatoes. 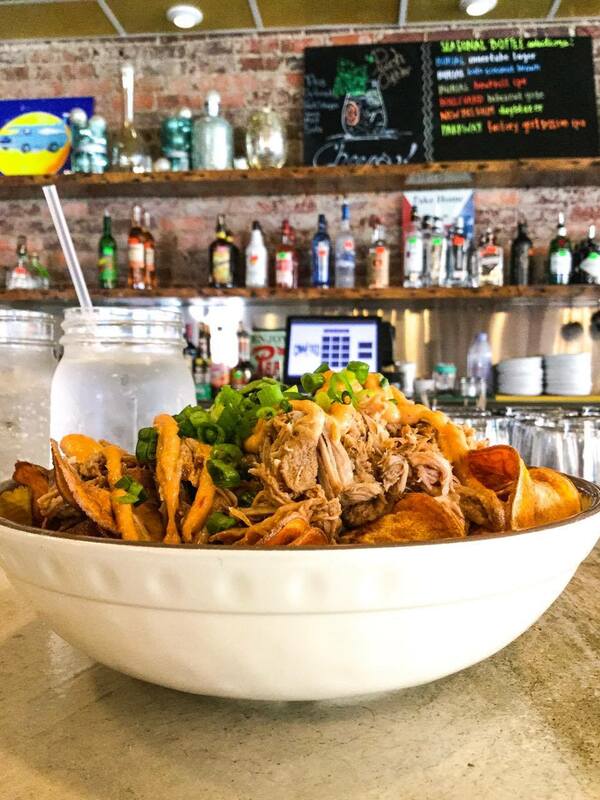 Whole sweet potatoes are sliced thinly, fried until extra crispy and topped with juicy pulled pork, a sweet and creamy chipotle aioli and garnished with chopped scallions. It's the perfect start to your lunch or dinner before diving into your selection of handpicked (or should I say--handcrafted??) tacos. Crafted, The Art of the Taco is quick to tell you: It's NOT a Mexican restaurant. It's a taco joint. I like the DSN (that's what people in the know call them--jk,don't do that--if you try doing that no one will know what you're talking about) because of the sweet potato chips. They're real! And they taste great on their own. They're an option as a side with the tacos and that is my go-to. 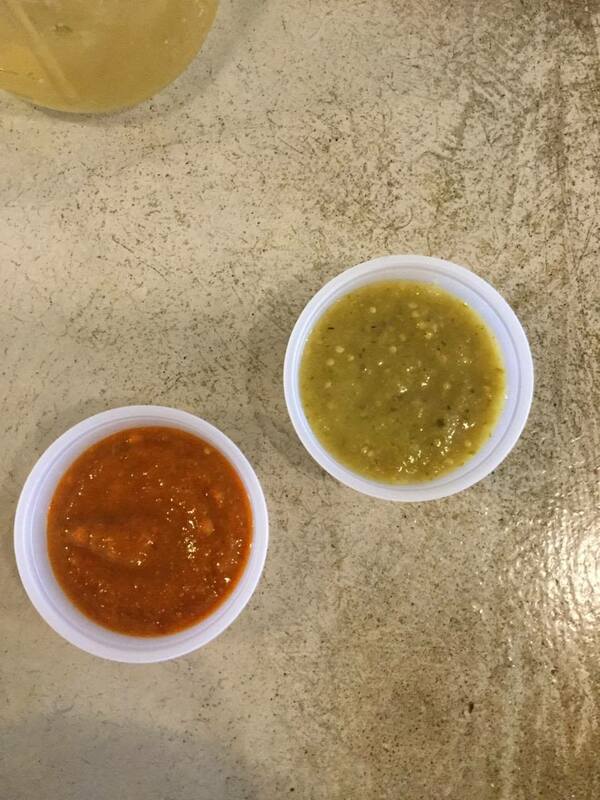 But I do have a PRO TIP for you: ask for the rojo and verde sauces on the side. You won't regret it. I promise. red means go. and so does green. just get them both. 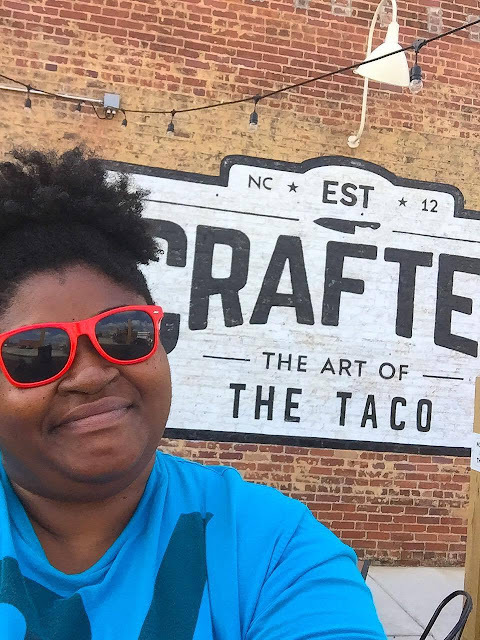 Born in and opened in 2012, Crafted's big brother opened in Greensboro first. The menu is inspired by international influences. trends, fresh ingredients and diverse taco selections. 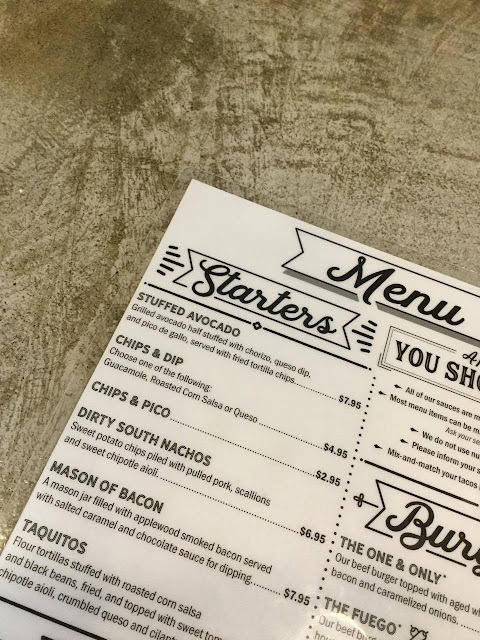 Nearing its year mark in Winston-Salem, Crafted's little sister has worked itself seamlessly into the DADA section of Downtown Winston-Salem. I have been a fan of owner and executive chef, Krissy Fuller since I met her in 2012. She's my celebrity chef crush. And I crush on her food, too. Hard. me & the love of my taco life, crafted. There's a recipe! Right HERE so you can continue the party and enjoy sweet potatoes at home.